If you’re interested in learning how to code, this event is for you! 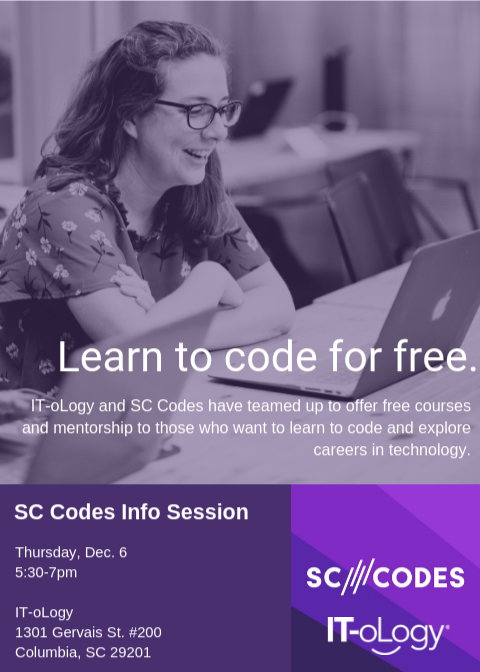 You’ll learn about SC Codes free online coding school platform. Start the new year strong by enhancing your skills and moving your career forward.